We’d love your help. Let us know what’s wrong with this preview of Tea Biscuit by Barbara Morgenroth. Spring has arrived and with it new horses, new challenges and old adversaries. As Talia’s birthday approaches, her way forward is less certain than Greer’s vision of her future. No matter how much Greer takes on, she manages to handle all of it, from the Ambassador of Good Cheer to organizing a horse show. Unfortunately, Greer can’t manage Cam as easily. What Lockie has av Spring has arrived and with it new horses, new challenges and old adversaries. As Talia’s birthday approaches, her way forward is less certain than Greer’s vision of her future. No matter how much Greer takes on, she manages to handle all of it, from the Ambassador of Good Cheer to organizing a horse show. Unfortunately, Greer can’t manage Cam as easily. To ask other readers questions about Tea Biscuit, please sign up. With each book I feel like I am transported more into the world of horses and the people around them. We see more of Talia's getting the Zuckerlumpens ready for a show and how she tries to teach them that it is not all about winning but having fun. The relationship between Talia and Lockie keeps growing and with Talia turning 18 that may take on a new twist. 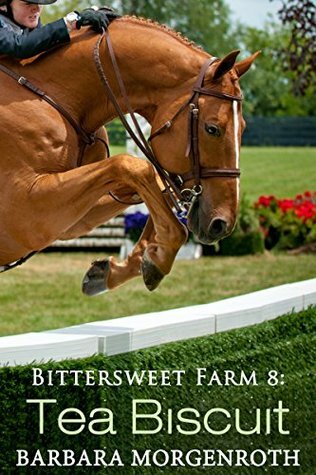 Within the pages of each book of this series we see how love, loss, hurt and betrayal affects each character and how they deal with it, in a w With each book I feel like I am transported more into the world of horses and the people around them. Within the pages of each book of this series we see how love, loss, hurt and betrayal affects each character and how they deal with it, in a way readers can relate to.